Rotate the 2 circles to match the 2 dots. How hard can it be? Play this never-ending puzzle game, that keeps you coming back for more! The longer you play, the more challenging it gets. – Simple to play, yet addictive and challenging. – Just tap right or left to spin the circles to collect the falling dots. 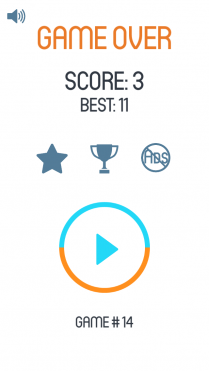 – Have fun trying to beat your high score and other scores around the world. 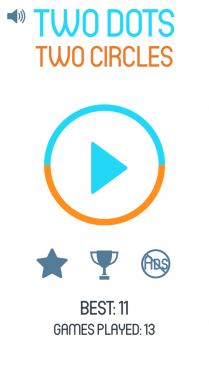 – Collect achievements as you reach new high scores. 2 Dots 2 Circles is available on now iOS and Android. Good fun for passing time. One of those games you’ll keep coming back to.